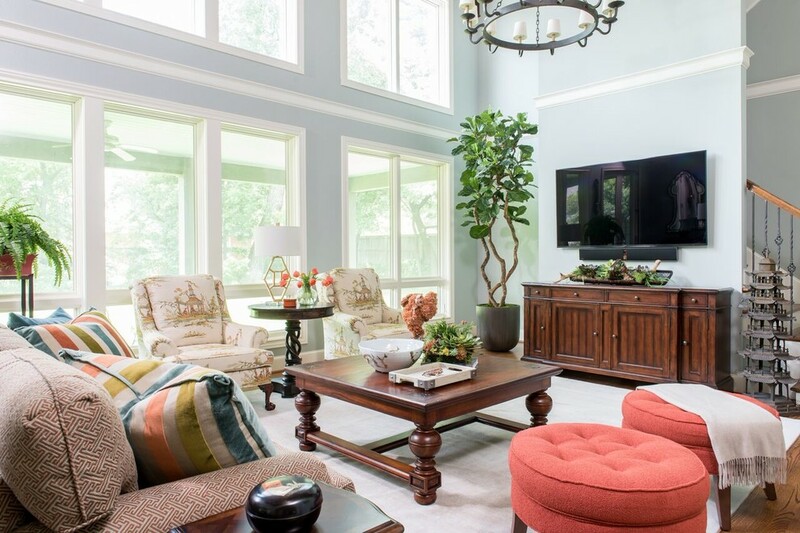 Great Room Addition and Library- years after a major remodel, this couple contacted Interior designer Dona Rosene as they had for 25+ yrs to work with the contractor to create a Great Room Addition. To warm up the room and bring the ceiling down, wood planks along with 2 large scale iron chandeliers were used. We designed and built a library in what used to be the adjacent TV room. Here the couple’s favorite objects, books, and art surround the comfortable seating area for reading and conversation. In the beautiful window a spot was created for the couple to enjoy breakfast overlooking the backyard . 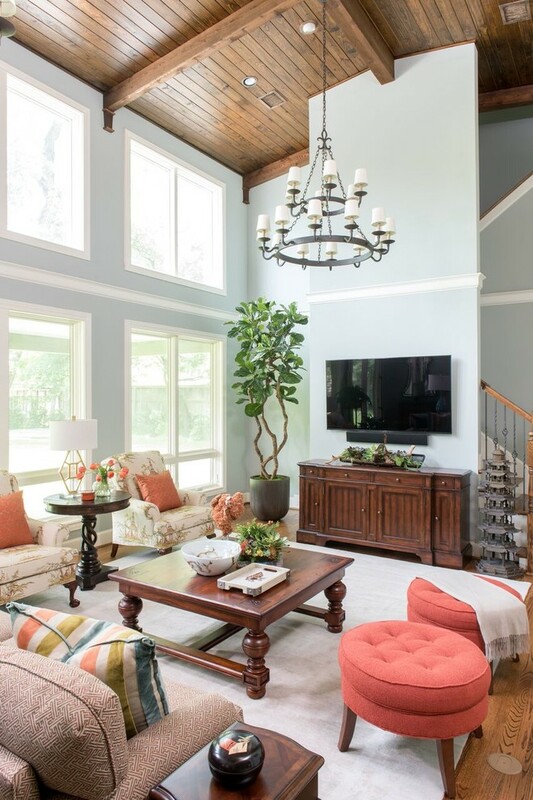 This spacious and airy Great Room was an addition to the back of home. The wood ceiling adds warmth to the overall feeling along with the two large iron chandeliers.